Lemon Marketing Company offers dedicated leaflet distribution, hand to hand, door to door distribution Aberdeen and Flyer delivery Aberdeen services in Aberdeen and Aberdeenshire areas. We are reliable leaflet distribution firm in Aberdeen ensuring your leaflets are delivered every time properly and efficiently. To ensure best results we employ the best people for the job, provide them with the required equipment and paying them the highest wages in the industry. Our back checking system gives you a peace of mind with the following ways: GPS trackers with every distributor, supervisors ensuring effective leaflet drops, ABC checking systems and postcode data information. 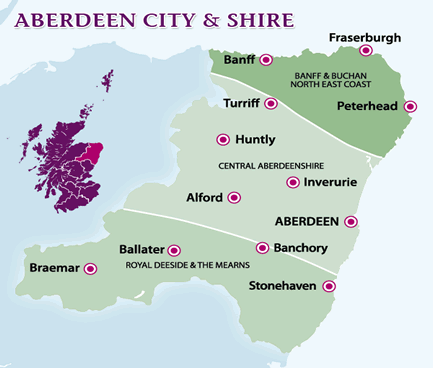 Based on the above ways of ensuring proper leaflet distributions in Aberdeen and Aberdeenshire we have created the unique mixture of software and local knowledge for effective flyer distribution Aberdeen. Based on research provided from the Direct Marketing Association door-to-door marketing is the most cost effective way for small and large business to get new customers, retain customer loyalty and increase brand awareness. Lemon Marketing is offering you the tool to get directly to your customers without the need to invest heavily and spend much of your time developing completed marketing strategies. Direct Marketing (door-to-door distribution Aberdeen or hand-to-hand) is quite simple: Create a strong and unique artwork for your promotional material (call of action, details, and pictures) should be added). Find cheap and quality local printer (we use lemonprint.co.uk ). Finally get in touch with Lemon Marketing to ensure your leaflets and flyer's are delivered properly on very reasonable prices. So, if you are looking for a leaflet distribution company in Aberdeen or Aberdeenshire, Lemon Marketing is the right choice for your direct marketing.